Students from Plymouth Business School have proved they can translate academic learning into real-world commercial sense, with success in an IBM-sponsored national competition. Five teams of undergraduates entered this year’s Universities Business Challenge (UBC), and just before Christmas, three were given the news that they had won through to the semi-finals of the competition. The teams will now face off against rivals from other universities in a one-day regional event in early March, with the top ten going through to a grand final, to be hosted by IBM in London later in the month. 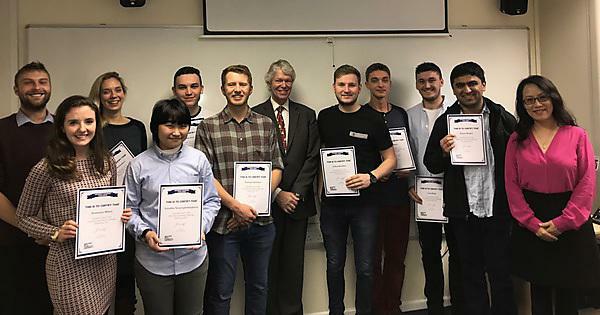 The challenge involved the students, from the second and final years of the BA (Hons) International Business, BSc (Hons) Business Management and BSc (Hons) Marketing courses, taking part in a detailed, realistic business simulation. They had to manage a company manufacturing domestic energy-efficiency products through six week-long trading periods, with the teams recording the highest profits making it through to the next round. Students were provided with market data, and a management report containing information including competitors’ prices, marketing costs and stock levels, as well as a set of accounts. They had to make all the key decisions week by week, and after each trading period organisers fed in new information that forced teams to adapt their businesses. 'The students really picked up this challenge and did it on their own, in their free time. The challenge itself is complex and clever, and very realistic. One student said to me that he hadn’t realised quite how complex running a business was.